In honor of all the snow in the Midwest lately, I thought I would pass on some information about an even colder place. Harbin, in China's Heilongjiang province, has temperatures that average 21.2 degrees Celcius (about 70 degrees F) in the summer and -16.8 degrees C (about 2 degrees F) in the winter. The temperatures can get as low as -38.1 degrees C (about -37 degrees F). 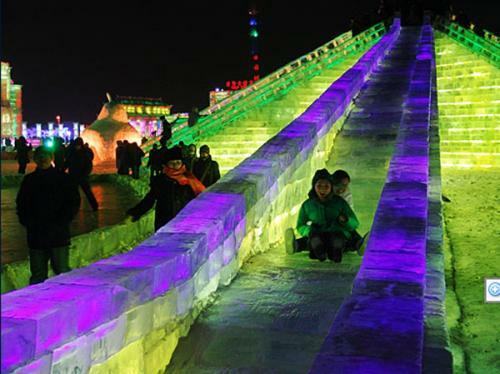 Harbin is also famous for its annual International Ice and Snow Festival. 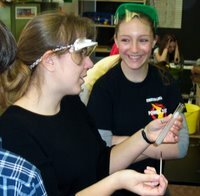 (Check out these pictures! You can also visit the official website, but it is written in Chinese.) The festival has been celebrated since 1985. 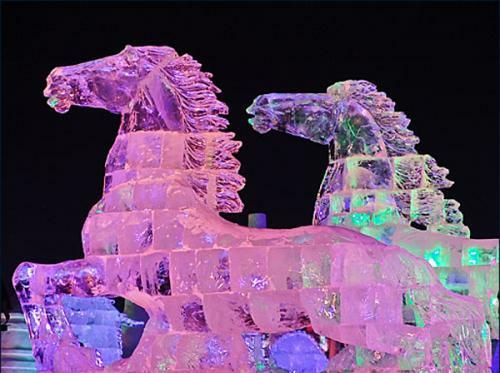 It begins on January 5 and is scheduled at the same time as the nearby Harbin Ice and Snow World Exhibition of Ice Sculptures (whose 2008 theme is the Olympics), the Snow Sculptures Fair and the Ice Lanterns Fair. Now, these folks know how to enjoy the cold weather! Whoa. No more late night math for me. Thank you for pointing out my conversion errors.